Hi metal fan! Thank you so much for reading this biography/history of Manticora. I guess the writing of it wasn’t in vain after all :-). I hope you’ll enjoy it. Our history begins back in ´92 with Lars and I playing in a band called Fear Itself, together with three other guys. Most of the time we played soccer indoor right next to our rehearsal room (it was more fun than being serious and creating music, I guess), but we managed to pull ourselves together, in between the chaos, to play heavy metal. In April '96 Lars contacted Mads Volf. I had lost all hope in finding new members to the remains of the band and was more or less giving up on the whole thing. That didn’t stop Lars though. As the only remaining person in Fear Itself, he asked Mads if he was interested in playing some good old power metal. At that time Mads played in a band called Rip ‘n Tear as well as in a Megadeth jam band. He accepted the proposal ... luckily for us. In the mean time I wasn’t aware of any of this. I was making plans with some other guys to start up a new rock band. Lars actually avoided telling the truth to Mads by telling him there was a band with a guitarist in it. The next morning Lars called me and told me that a new drummer was ready to play in the band. I had to ask him about what band he was referring to. When I look back on this weird story I have to give Lars the credit for the existing of Manticora today. Without his ability never to give up, I wouldn’t be writing this today. This was the beginning of what later should become Manticora. The first day the three of us were together in the rehearsal room we wrote the track “Dead End Solution”. It seemed as if we all had something we had to try out. It was a very strange feeling to create a song that fast and having the feeling that “We’re supposed to play together” but anyway, that’s how it happened. Later we added another new face to the line up. Mads’ brother in law happened to play bass and was also a big fan of heavy metal, so why not keep it in the family…..:-) Rene blended in perfectly and together we made another four songs and went into studio. The music changed radically from the music in Fear Itself and with that we also chose a new band name: Manticore. Along with the new Demo release a lot of attention towards Manticore came. A management called Intromental contacted us and we signed a deal with them. 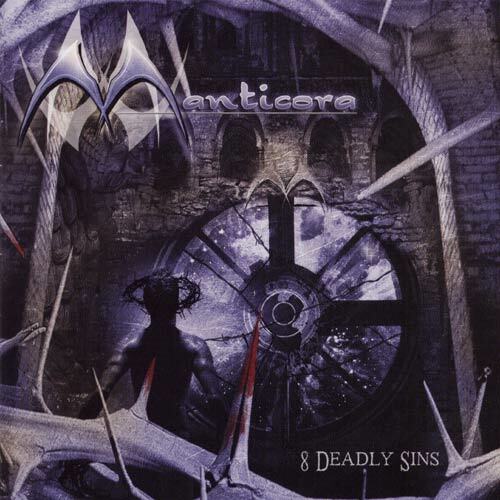 But also another band called Manticore from Australia contacted us and told us to change the name immediately or they would press charges against us...with all the good publicity we had received so far in magazines all over the world we agreed upon changing the last letter into an A. Manticora was the name then and everybody was satisfied. With the demo release “Dead End Solution”, a record deal was offered ... In the summer of 1998 the Greek record label Black Lotus showed interest in us and we signed a deal with them. We all agreed upon looking for a perfect lead guitarist and keyboard player to play on the forthcoming album called “Roots of Eternity” and Flemming Schultz and Jeppe Eg were added to the line up. Both of them were a huge plus in our achievement to become a professional band. 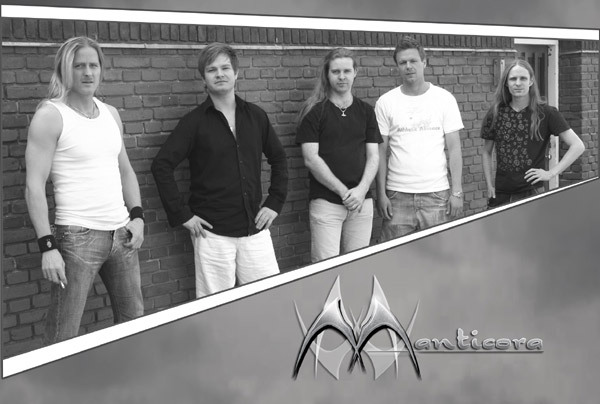 In two weeks the album was recorded in Aabenraa studio and in July 1999 the album was released worldwide. With our debut album out we were all eager to continue the success. The album received only good reviews and plans of a European tour were almost ready. It didn’t happen, due to some bad incidents. Instead we worked really hard in the rehearsal room - this time being six composers - to finish our next album “Darkness with Tales to Tell”. Along with this, things went bad with our record label and we decided to quit all negotiations with them in the hope of signing another deal with another label. Our management contacted Scarlet records and with them we signed a deal and released our second album in April 2001. This album was extremely well received all around the world and we managed to convince our fans that we were here to make a difference and to make a stand in the world of metal. After the release of “Darkness with Tales to Tell”, Rene decided to quit the band due to personal reasons. It was a very sad thing for us to see Rene go because he was a perfect bass player and because we had a really good relationship with him (we still see Rene outside the band though). We started looking for another bass player immediately but we were not to look very far away for Kasper Gram to show up. He was ready to join the band whenever we were ready to take him in. The fact that Kasper joined the band so quickly gave us all the necessary energy we needed to continue the success. Shortly after Kasper entered the band we split up with Flemming. He had other things on his mind but Manticora and we had to let him go. It’s too bad because he really is a talented lead guitarist. Anyway, the five of us agreed upon making our first concept album and began writing lyrics for our next album called “Hyperion”. Along with the lyrics the music came and the tracks were ready for the studio. We had one problem though ... we were out of lead guitarists. Again we had to look for a replacement and again we didn’t search for a long time. Luckily for us, former guitarist in Iron Maiden jam (including both Lars and Kasper) Martin accepted our request to join Manticora only three weeks before we entered the studio. In a short period of time Martin managed to create all leads on the album and by doing so he convinced us all that Manticora now had the perfect line-up. This is our 3rd album, and it was officially released in October 2002. With the above-mentioned changes in the line-up we managed to create our best album thus far by combining raw power with atmosphere from a distant future entangled in a beautiful storyline. 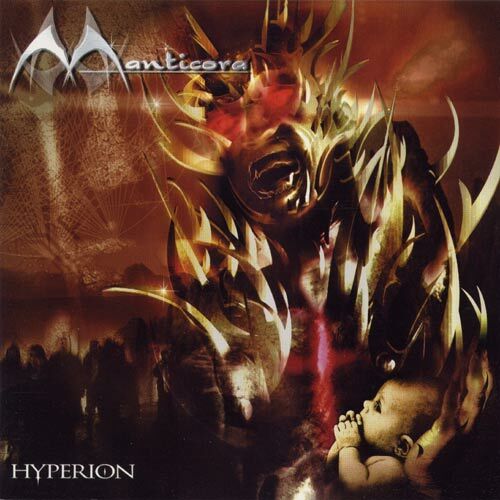 Recorded in Aabenraa studio with Jacob Hansen as producer and mixed in Jailhouse Studios, Horsens by Tommy Hansen, this album was a new step for Manticora. A new album - a new era ... With Hyperion out, along with the amazing reviews all over the world, we decided to start creating a new album. Because of the fact that Hyperion was such a difficult project, we had plans of making a "normal" album, this time without a concept. This plan failed due to the fact that we kept on creating complex conceptual ideas. After a long talk (and several beers) we decided that a "normal" album just wasn't the right thing to do at this moment. We wanted to create a story with a new concept along with our own theories. After months of planning we finally had the gameplan, concept and lyrics ready and the music creation could begin. We all agreed upon arranging the music slower, more melodic and with more atmosphere so that the lyrics would have a huge place on this album. This time we've recorded and mixed the album at Jailhouse Studio with Tommy Hansen behind the mixer. Tommy really got into our music and involved himself in the making of this album both musically and technically. Another new thing was the fact that we've asked Finn Zierler from Beyond Twilight to help us with the recordings of the keyboards. He only lives a few miles away from the studio, so he could also be there the whole time. Finn did not only record the keyboards. He also helped us in the creation of a lot of the instrumental arrangements. This is really a huge change in the music of Manticora and it's a good one. This keyboard impact is easy to hear on "8 deadly sins". Another change on this album would be the fact that Lars now had more time to record his vocals. On our previous albums Lars had to settle with a 3-4 days time span to record the vocals. On this album we agreed upon giving Lars "free hands" so he could step into the studio whenever HE felt like it. This gave us the time to make the right adjustments and to create the right choir arrangements.....now we've got the pro stuff !!! The album was recorded and mixed in a month and everything worked according to our schedule. Because of the fact that Jailhouse Studio contains two studios, we had Martin doing the lead guitars in the other one. He had all the time in the world to do his stuff and the outcome was fantastic. 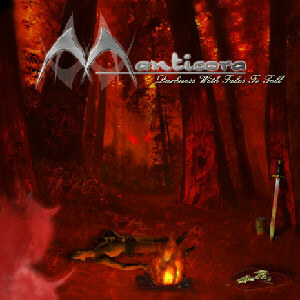 I really think that this album represents a new turn for Manticora. With "8 deadly sins" we've managed to do an album everyone will love (hopefully :-)). The production is great, the lyrics are great, the music is great and the cover (done by Mattias Norén - www.progart.com) is great. 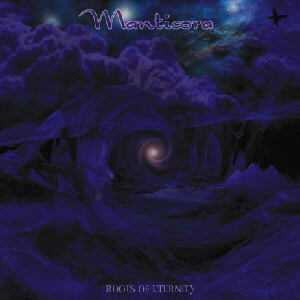 For many years Manticora have fought a tough fight to get on a BIG European tour. Nothing never went according to what was really the plan when it came to any Manticora tour. This time however we finally did it!! Somehow everything fell into place and suddenly we where driving south to start what would later become the biggest moments in the history of Manticora. On the second of february we were to open the tour in Milan infront of almost 1000 people - what a sight and what a night. Unfortunately all Angra's gear were still at the airport so the entire time schedule was fucked which ment NO SOUNDCHECK for Manticora. We just plugged in, played our asses of and hoped for the best. We shared the tour bus with Edenbridge and this worked out perfectly. All of them are great guys (and girl) and we had a lot of fun. To be on tour with Angra was something special for all of us since we all are big fans of them. We had our hopes that they would be great guys to hang out with and they were!! We even played football with them after a show in Rennes France (and I don't have to tell you that we won the mach 7-1 … I mean come on! We all play football in this band in our spare time so yes they got their asses kicked!! - a fact that they apparently don't want to discuss any further. This tour was a dream come true for us all and we really hope to get on the road again to meet with all our great fans throughout Europe. For the third time in the history of Manticora, we went to the studio to record a concept album. This time the idea was to make a double album. Later on this was changed to a concept on two albums. We used many days two create the right storyline for this concept and believe me : it was a hard fought game but also worth the sweat. The problem is not to find the right story, but to tell it right through music, words and expession is the difficult part. The outcome is up to you to judge. I can tell you one thing though: this is just what we planned to do right from the beginning and it turned out excellent. The idea from the beginning was to book the studio (Jailhouse Studios) for a longer period than normal so that we could record both albums at the same time. This would ensure the fact that we kept the concentration at 100% throughout the entire recording session. We are still a five-piece (Martin is back) and everything went as planned according to the time shcedule. A lot could be written about details regarding the recordings and other stuff, but I will spare you these facts. A whole diary was written with pictures and everything and you can probarbly find it somewhere on this page. To make a prober ending in this biography entry I will say one thing though : Manticora sound better than ever. In my opinion, this release is the best ever and I hope you will enjoy as much as we do. The entire theme is darker than ever, more evil and the music is damn right excellent. 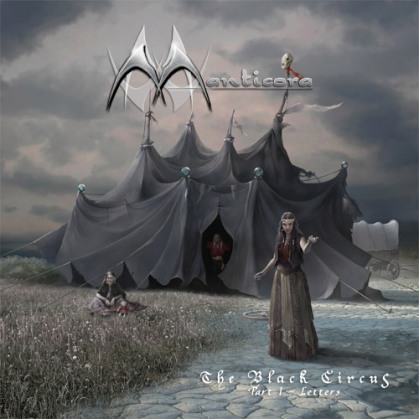 I think that all fans of Manticora will agree with me when they hear and feel the atmosphere surrounding the circus site! And be ready for Part two in this evil concept :-) You wont be dissapointed. The only thing I have left to say is this: I really hope you will enjoy all our albums as much as I do, and that you forever may be part of the Manticora-clan. We really appreciate the fantastic support our loyal fans are showing us. I hope you enjoyed reading the story of Manticora. Reviews and other info about any of the above mentioned albums are to be found somewhere on this site. If you have additional questions about anything, don’t hesitate to write us at any time. The address is also to be found on the site.